Ventral hernias often occur due to stretching of scar tissue after hernia operations. The Kugel Mesh patches were designed to aid in the recovery after surgery. The mesh material is inserted along with a flexible plastic ring, working with the body’s natural healing capabilities to create a stronger recovery bond. Sadly Kugel Mesh patches have been known to break and cause bowel perforations and chronic intestinal fistulae. 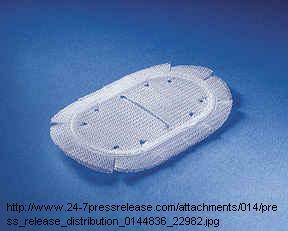 Should the mesh tear or plastic ring break internal organs are at a high risk of disruption and perforation. Despite early objections and denials regarding the dangers of the patch, subsequent studies have revealed consistent malfunctions and injuries as a result of the patch’s use. In 2002 Davol had received an exceptionally high number of reports regarding injuries with the Kugel Mesh patch, especially in regards to the memory coil ring. Despite the obvious red flags, Davol opted not to take action or send out warnings to medical professionals or patients. It wasn’t until 2005-2007 that action was forced to be taken. The recalls are still active, centering most predominantly around the Bard mesh brand. If you have received a Kugel Mesh implant and have experienced pain and suffering you may be entitled to compensation. Our firm has one primary function: to listen to patients in need and assess the best way to help them. We do not take legal cases for ourselves; instead we assess your needs and location and connect you to the best attorney possible. Don’t hesitate – our service is free and available 24/7. Call us at 1-800-603-6833 or utilize our online consultation form.